Dr. Shen Hongxun (°Shanghai, 1939 - †Munkzwalm 2011) was trained as a medical doctor in Chinese and western medicine. In China he was a director of a hospital and technical director of a pharmaceutical factory. Also he was director-with-honour of the Qigong science society in China. 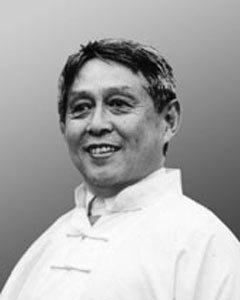 Dr. Shen practiced Taijiquan for more than 50 years and was taught by acknowledged Taijiquan masters, Buddhist and Taoist monks and by his grandfather Shen Baotai. He integrated the special internal force he acquired from training with his medical knowledge. He started treating some of his patients with use of these forces with very positive results. Based on these early successes he started to investigate the effect of this method on various health problems. This led to formation of the the Buqi system. In 1987 Dr. Shen was invited by the universities of Ghent and Venice to supervise PhD students. He then decided to stay in Europe to bring his knowledge to the west. Therefore, he founded the Buqi Institute in Belgium and the Shen Hongxun College in Great Britain. He taught his system in throughout Europe and in the United States. Dr Shen Hongxun passed away peacefully at his home in Munkzwalm, Belgium in 2011. 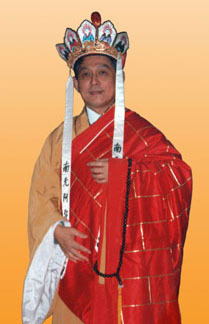 Founder of Taijiwuxigong self-healing system.